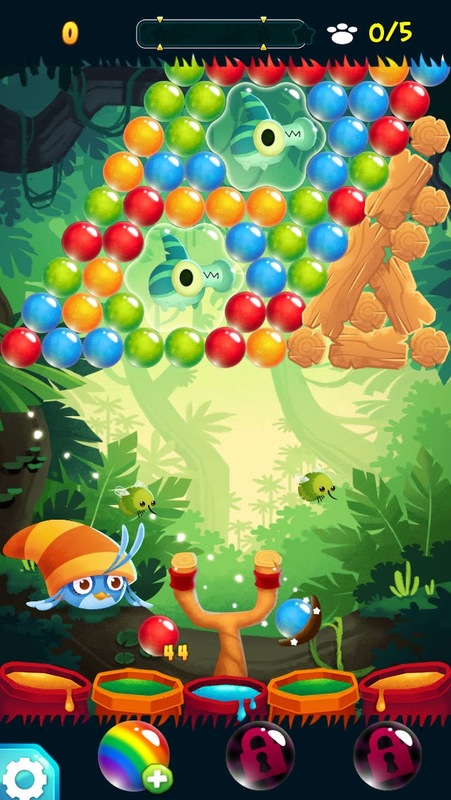 Use the slingshot to launch colorful bubbles to try and match them in bunches of 3 or more. 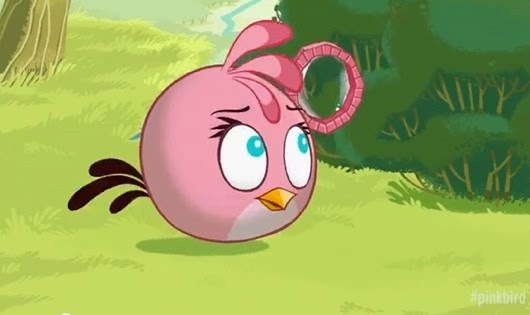 They can bounce of the wall to go higher. If they are not matched, the bubble will stick to other bubbles. Once they are matched, they all will clear and bubbles near it may fall to give you points. 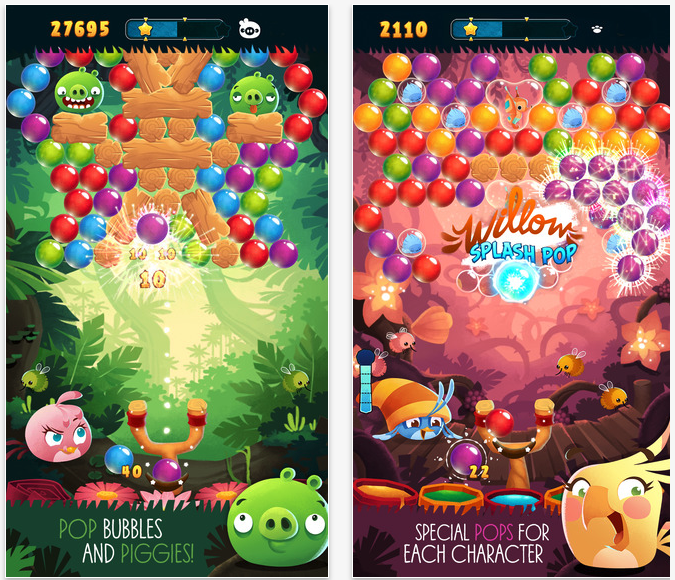 You will have to complete new challenges with every level, from popping all the piggies and bubbles, to freeing critters. Plus, each character has a special power-up that you may use. 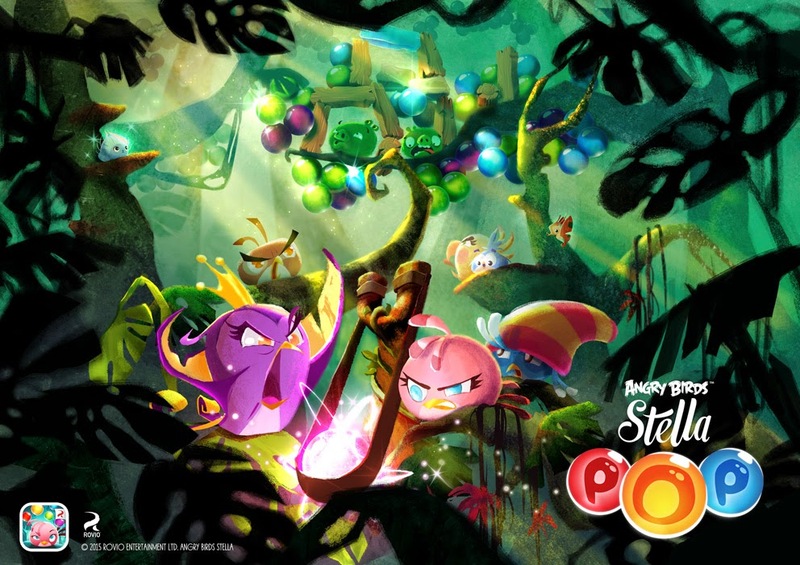 Angry Birds Stella POP is now available worldwide on iOS and Android. Download now! If you enjoyed this, be sure to stay tuned on This and That, Here and There by viewing it daily. See you soon! Bye!